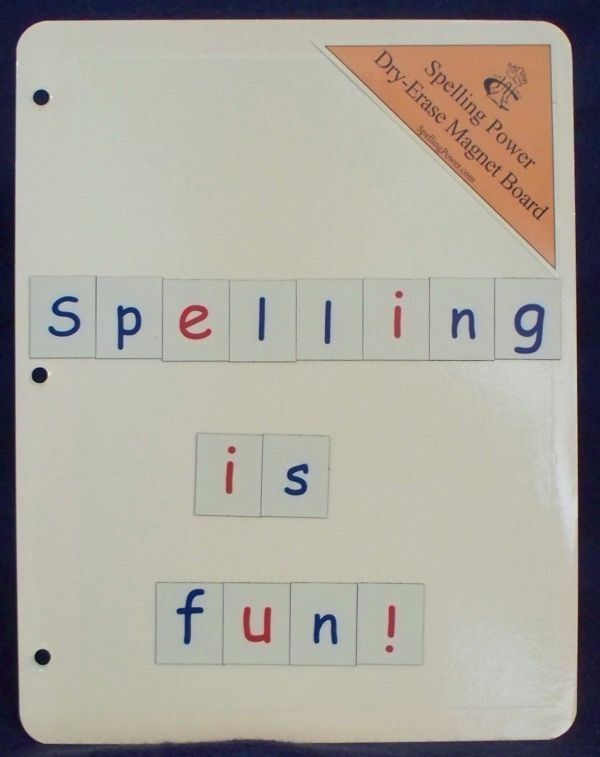 Boards and Notebook Pages for your Magnetic Tiles make spelling fun Again! 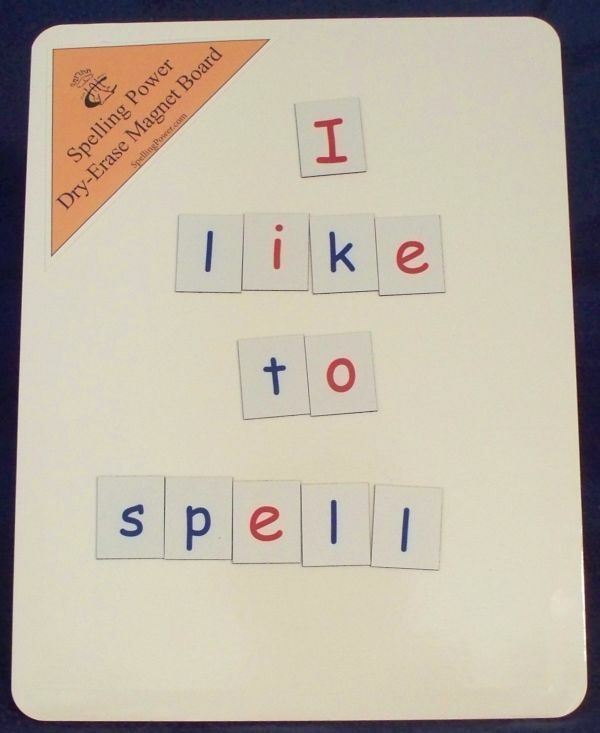 Boards and Notebook Pages for your Magnetic Tiles make spelling fun Again! are handy for learning while on the road! Magnetic Tiles make spelling fun Again! Our Dry-Erase Magnetic Board gives you two types of work space on one board. Not only can you use it with our Magnetic Alphabet Tiles you can also write on it with dry-erase markers! Useful for many subjects, but designed to be used with Spelling Power’s Magnetic Alphabet Tiles. Its sturdy (1/8" inch thick) surface will serve your family for years! The Dry-erase Magnetic Board is $7.95. Ideally each student will have his own Dry-Erase Magnetic Board or Notebook Sheet. This Dry-Erase and Magnetic sturdy notebook sheet is three-ring binder ready. Perfect for on-the-go and a space-saving spelling study tool! Only $4.95 each. You can use it with Spelling Power's Magnetic Alphabet Tiles and it's also suitable for dry-erase markers! Both the Notebook Pages and the Dry-Erase Boards are great for home schooling writing as well, making them the perfect place to record your student's sentences during Double Intermediate Dictation and many other Spelling Power skill building activities. You can save money and get both a Magnetic Notebook Sheet and a Magnetic Board for only $11.50! The Magnetic Notebook Pages are $4.95 each plus shipping. The Dry-Erase Magnetic Boards are $7.95 each plus shipping. You can purchase both at the same time for $11.50 and save money.